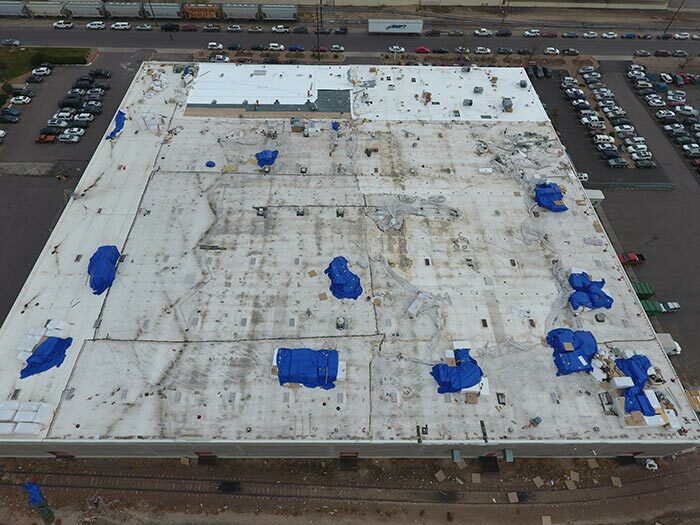 The re-roofing of the 96,000-square foot facility was required after it was badly damaged by Colorado’s worst hailstorm on record in May of 2017. 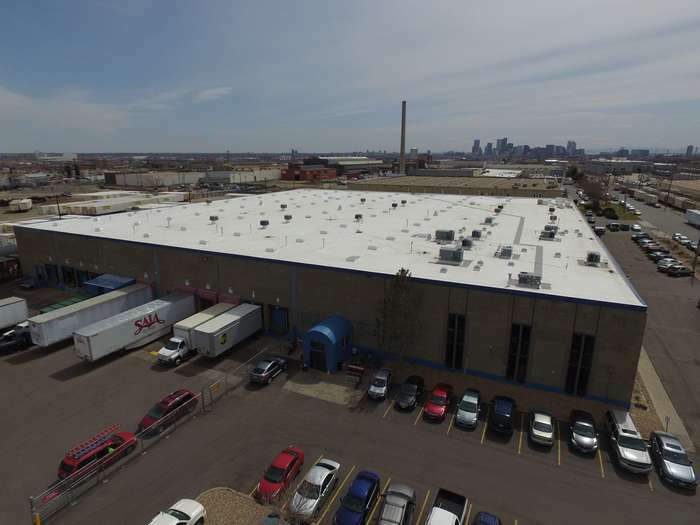 ECO Roof and Solar, Inc. was selected as the commercial roofing contractor due to its extensive experience with similarly-sized projects and their unique challenges. The building’s original construction was engineered with a north-to-south structural slope, utilizing only 8 sets of drains that limited the roof’s capacity to adequately distribute and shed heavy storm runoffs. This design flaw had caused a previous partial collapse of the concrete twin tee deck due to excessive water weight load. 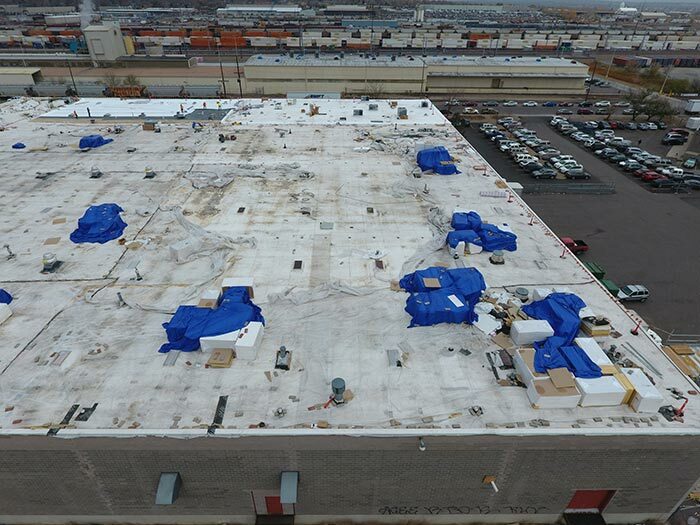 An engineer’s full redesign of the roof’s taper, insulation, and drainage systems was required to meet local municipality building code mandates. 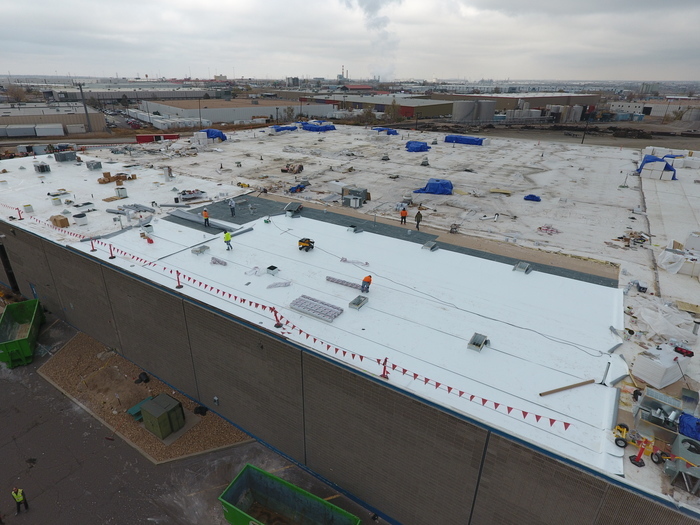 ✓ A more effective taper system was installed, that equally dispersed storm runoff throughout the roof’s field directly to the drains. 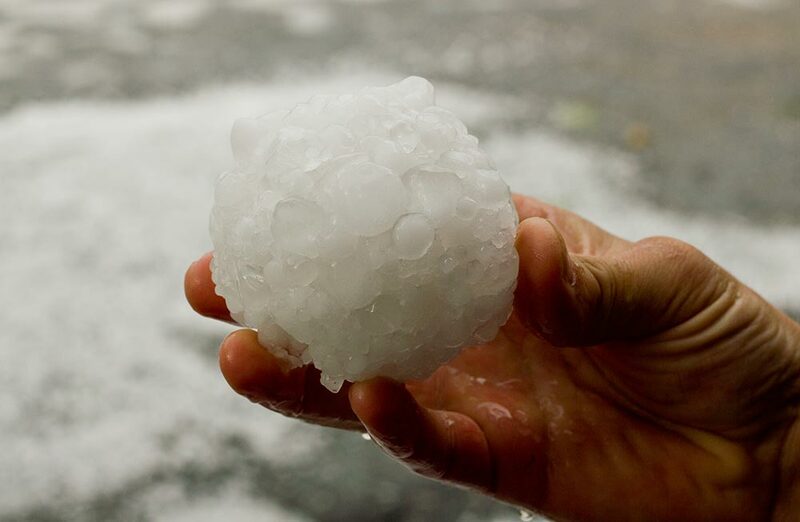 Install the best TPO roof system available with the strongest and longest warranties. The new TPO membrane must be solar system compatible, i.e., be manufactured specifically to withstand the excessive high heat generated by solar panels. Install the new roof without any disruption to business operations. The last requirement to avoid any business disruption(s) was the most critical construction consideration. 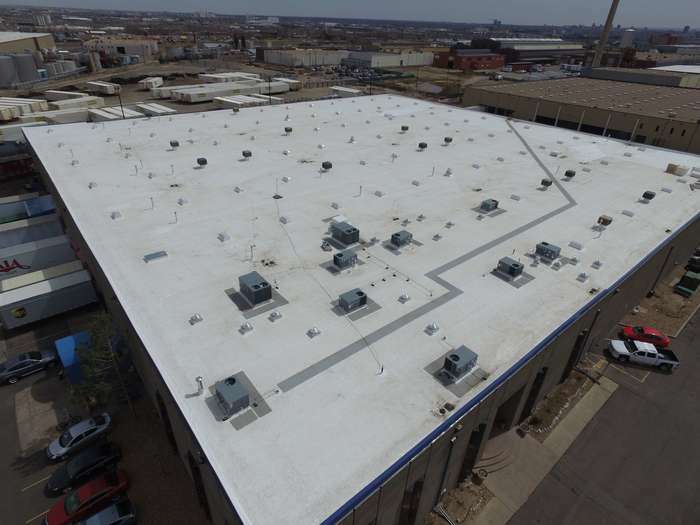 Concrete twin tee roof decks typically have expansion gaps in their design, and the seams created by the gaps were wide enough to permit construction debris and moisture to fall onto the warehouse floor and employees. The ECO Roof and Solar, Inc. solution: Hang 9,000 LF of protective tarping beneath 40 twin tees that safely and effectively caught all debris and water that fell through the open seams.